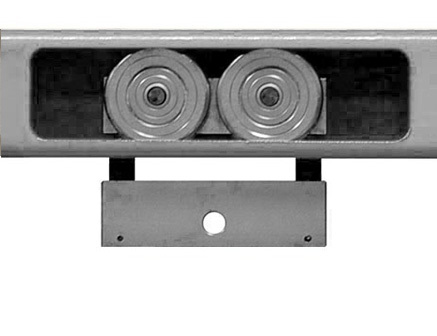 The trolley has 4 carrier wheels with bearing and 2 side wheels with bearings. For an environment that requires it, food industry, wetlands area or emissions, nuclear, etc. 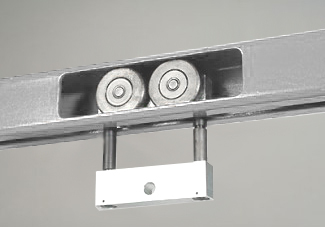 the manual monorail stainless steel can be made in stainless steel 304L or 316. 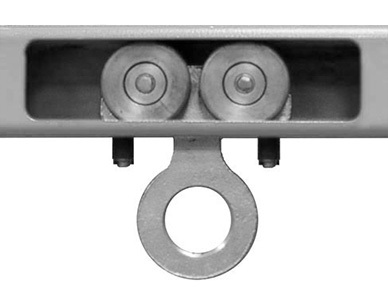 This manual monorail stainless steel can be also organized as conveyor travelling bridge crane. 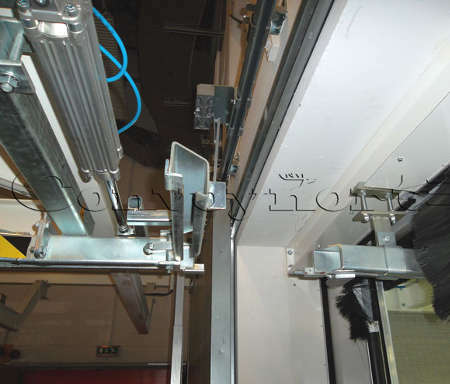 Retractable rails allow for continuous conveying through curtain type doors. 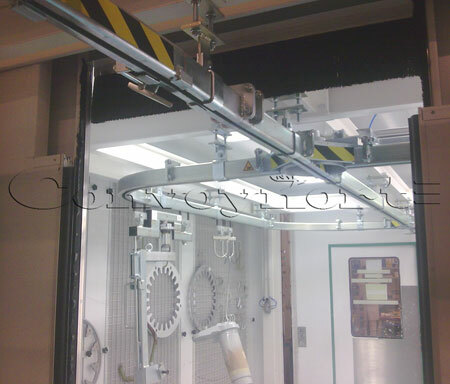 Retractable rails allow for continuous conveying through curtain type doors. Here, 3 retractable rails to enter and exit a cooking stove. 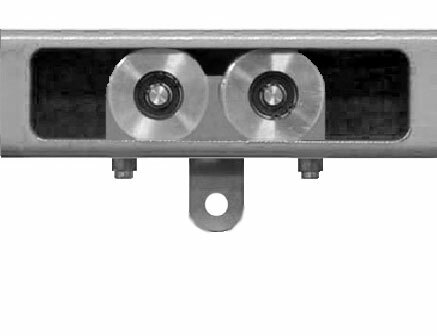 To make operator movements easier, the turning section of the switch can be controlled automatically with a jack. 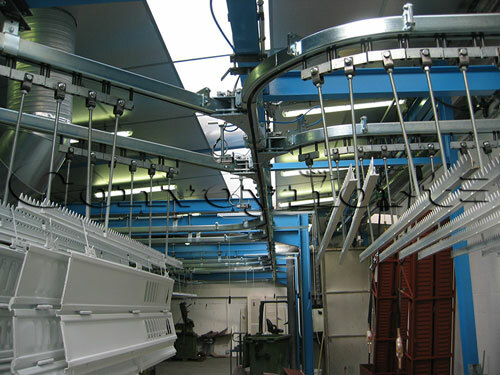 In some cases, the system can be set up as a gravity conveyor. Conveyor carriers for cooking furnace, handled with a perch. 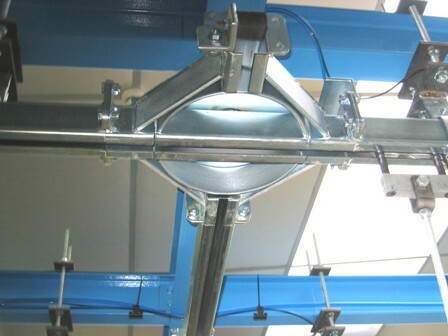 Hoist travelling crane on a travelling platform can complement the manual conveying stainless steel system. 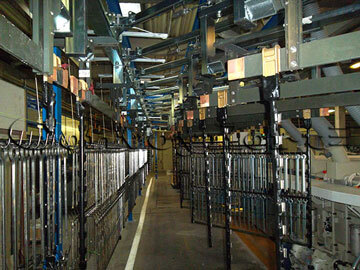 CONVOYNORT can handle all of the client’s needs in terms of conveyor. 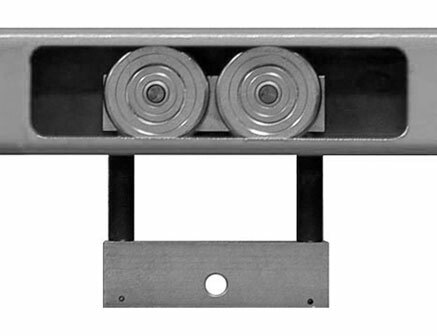 For instance, it can make specific suspended tray conveyor prototypes or load bars for hooking parts to be carried.